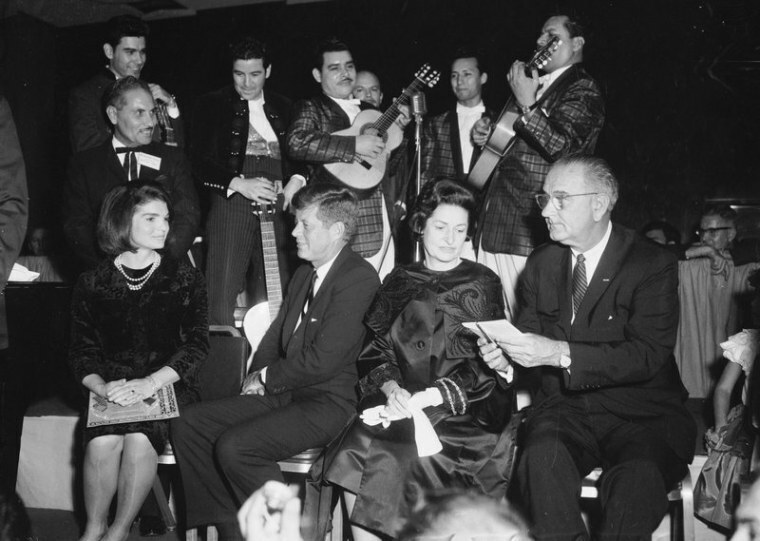 ALBUQUERQUE, N.M.— A memo included in recently released John F. Kennedy documents shows that the FBI was concerned about the growing political power of Latinos, historians say. According to the 1963 document, the informant closely followed a chapter meeting where members expressed concerned about the revival of a similar organization, the League of United Latin American Citizens. The G.I. Forum members feared a public fight with LULAC over membership might make both groups "powerless," and members discussed ways to keep tabs on LULAC leadership. The documents show the agency was monitoring the civil rights groups just weeks before Kennedy visited with one of the Hispanic organizations. storylineWhat Could Be in the New Kennedy Assassination Records?